really nice. you hav put in a lot of hard work. I like that! Want to make one of these now! This is a pretty design and idea. I like it. this is a lovely idea- I think I might try it - somewhere-you obviously do not have rabbits or moles!! 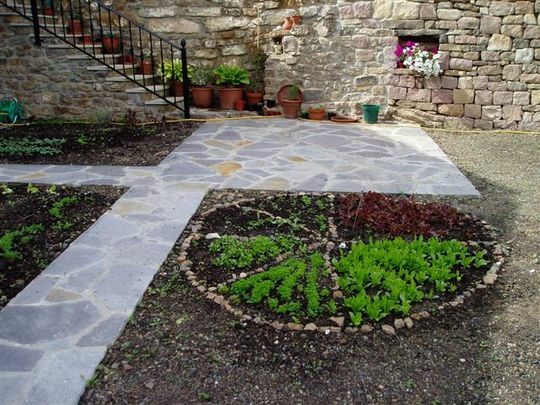 That must be a herb wheel is it Nariz?.....it's looking great, love the stone pathway......this takes me back to our time in Catalunya when we were laying paths and building walls.....such an adventure!